Mars’ Methane Debate –A Sign of Life or a Mirage? 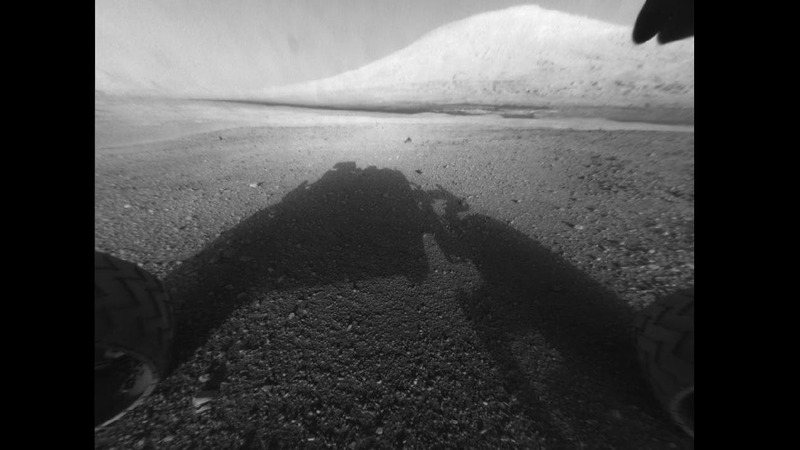 Observations over the last decade suggest that methane clouds form briefly over Mars during the summer months. The discovery has left many scientists scratching their heads, since it doesn't fit into models of the martian atmosphere. The image above shows a map of methane concentrations in Autumn (first martian year observed) overlayed on true color map of Mars. It's a debate of long-standing that the Mars' Curiosity rover might soon answer. "The reports are extraordinary," said Kevin Zahnle of NASA Ames Research Center. "They require methane to have a life time of days or weeks in the martian atmosphere, which disagrees with the known behavior of methane by at least a factor of 1000." 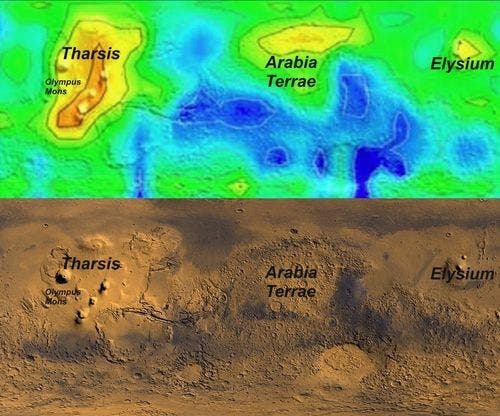 Zahnle and his colleagues have expressed some serious doubts about the existence of methane on Mars in a paper that appeared in December 2010 in the journal Icarus. "What we say is that the evidence is not nearly strong enough for us to suspend our trust in the known chemical behavior of methane," he said. More recently a group of researchers from Mexico have come up with a different – and rather unexpected – source of methane: dust storms and dust devils. The Mexican team proposed a new production mechanism for methane based on the effect of electrical discharges over iced surfaces, according to a report in a paper published in Geophysical Research Letters, written by a team led by Arturo Robledo-Martinez from the Universidad Autónoma Metropolitana, Azcapotzalco, Mexico. "The discharges, caused by electrification of dust devils and sand storms," they report, "ionize gaseous CO2 and water molecules and their byproducts recombine to produce methane." But solid evidence of martian methane with infrared spectroscopy only surfaced in 2003, when Mumma and his group saw signatures of methane in spectra taken with the NASA Infrared Telescope Facility in Hawaii. The methane was localized into clouds, or "plumes," over certain regions of the Martian surface, with the maximum density of methane reaching about 60 parts per billion. "In the absence of rapid temporal and spatial variability, there would be no need to invoke exotic destruction or release mechanisms," Atreya says. might come from NASA's Mars Science Laboratory rover, with its Sample Analysis at Mars (SAM) suite, which will measure a multitude of trace constituents and isotopes from gas and solid samples. Two of the SAM instruments, the tunable laser spectrometer and the quadrupole mass spectrometer, could potentially detect a whiff of methane – at the 1 part per billion level or lower – in the air around the rover landing site at Gale Crater.